Hello iphone/ipad users, today am going to be showing all how to change the font size of ios devices to your own choice of font, which can be bold italic font or non-bold text font and many more. 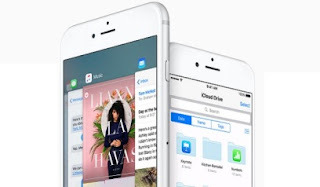 As we all know, iOS platforms didn’t make their devices to be as customizable as that of Android phones, but there are some few tweaks which can go a long a way in helping users to customize their own purchased iphone/ipad devices. In this post, you will learn how to make changes of your iphone/ipad font just like the way Android users customize theirs without the use of any third party app. Someone might be asking, what’s the need of changing an iphone or ipad text font size when he/she can see clearly on all the things functioning in the mobile phone. Yes, your vision might be clear, but what of others who can’t see clearly and they are using ios devices? You can as well choose to change to any style of font, just to catch fun and many more reasons which I won’t be mentioning here. When you set or eventually make changes to your iphone or ipad font size whether custom bold, Helvetica, italic etc the changes will reflect on all your installed social media chats like Whatsapp, Telegram, Skype, Twitter, Google plus, instagram, Facebook, Imo chats and keyboard texts, Email text messages, Menu texts, Notes, Date and time etc. ==> How To Unlock iphone Device Locked With Security Code – Passcode For Free. In case you don’t want to change your phone’s font manually, you can go to app store and download the latest update made on ios fontwithname bold app for bold font done programmatically. How to Change Font Size on Your iPhone Or iPad Device With Stress Free Steps. => First, navigate to your mobile iphone's Settings. => Next, click on where you see General >> Accessibility. => Now click on the "Larger Text" option and ensure to turn on Larger Accessibility Sizes. => Here, you are required to move the slider either to right or left for smaller or larger font size. How to Bold Text ios iPhone and Ipad Devices. => First, go to the phone's Settings. => And click on General >> and then Accessibility. => Now, Activate Bold Text. => When you are done with the setup, your device will reboot in order to make the changes take effect as configured by you. Note: This bold font size actually works for iOS 8, 9 & 10 firmware. So for other devices like ios 7, 6, 5, 4, bold font etc, you can get their various apps on Apple/app store. That’s all, if you like Techbmc Post, follow me on Google Plus Here for more updates.